The following by TARA BLISS APPLETON Head of welfare and support, Saint Edmunds Society, Norwich was published by FEWEEK. Building welfare support into post-16 provision is crucial to improving retention and achievements, says Tara Bliss-Appleton. The Saint Edmunds Society has offered vocational training since 2012 to young people who have struggled in mainstream education, to help them to develop meaningful trade-specific skills that will open doors to further training and employment. We soon realised, however, that skills training was not enough. Disengagement from mainstream education is often driven by personal circumstances such as permanent exclusion, bullying, family breakdown and sometimes substance misuse. Our students presented with a range of barriers to learning, including anxiety, low income, and limited literacy and numeracy skills. Disabled employees will be able to benefit from almost £60,000 a year to assist them at work. Disabled employees will be able to benefit from almost £60,000 a year to assist them at work, the Minister for Disabled People Sarah Newton has announced in Parliament. The following blog is by Tristram Hooley. Towards the end of 2018 it felt like a lot of people were getting a bit frustrated with the speed of progress on career guidance in England. The State of the Nation report tells us that things are improving, but that there is a long way to go and that at present the progress isn’t particularly quick. Partially as a result of this, and partially in response to long standing concerns and grievances, some people started sharpening their knives on the current careers policy settlement. Robert Halfon gave an important and highly critical speech setting out what he though was wrong and many in the careers sector piled in behind him. Things are not good enough they argued, there is a need for change, let’s pull down the current system and get it right this time. I’m in total agreement that the current state of provision in careers is not good enough. I also agree that things need to change. Where I break with some of the critics of the current order is that I believe that within the current system there are the seeds of a genuinely great career guidance system. The following news article by Billy Camden was published by FEWeek. The chair of the education select committee has laid into the Careers and Enterprise Company for believing it has a “magic money tree” growing in its garden. 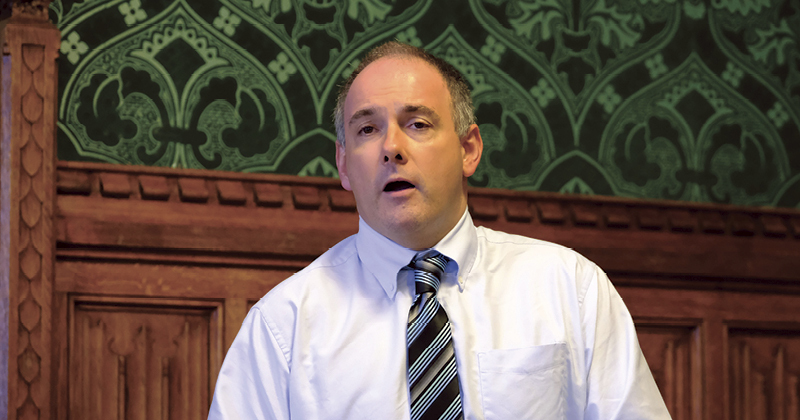 Robert Halfon (pictured) offered the heavy criticism during an event about the future of careers guidance in Parliament this morning. It followed the organisation’s second hearing with MPs two weeks ago, in which it was the revealed the company spent more than £200,000 on two conferences using its own public money instead of private sponsorship. The company had also told MPs earlier in the year that it has spent £900,000 on research, with another projected £200,000 a year to come. “My colleagues and I in the education select committee are deeply concerned by what we have learned in two recent hearings,” he said. “I don’t doubt for a second that the company is passionate about its work, and that there are good people working there. But I’m worried they are not providing us with value for money. “This body can be ludicrously wasteful. Last year it spent £200,000 of taxpayers in a time austerity on two conferences – money which should have gone to the front-line. One cost around £150,000 and the other was about £50,000 and held at KidZania! Salaries are too high – its CEO earns almost as much as the Prime Minister. “And it has spent £900,000 on research, with another projected £200,000 a year to come. The following article by Dr Deirdre Hughes OBE, Director, DMH & Associates Ltd,, was published in FE News. The period under review focuses on data available from early 2015 – mid year 2017 and the primary focus is on face-to-face careers guidance for adults. What level of fiscal return does the National Careers Service: Careers Yorkshire and the Humber make to HM Treasury? Is the National Careers Service priority target group, set by the Education & Skills Funding Agency (ESFA), linked to a payment by results, sufficient to meet regional/local needs? What lies ahead in Yorkshire and the Humber when it comes to the National Careers Service face-to-face careers guidance work with adults in the coming year(s)?